The lead ecologist in the battle to build Donald Trump’s Aberdeenshire golf course claims plans for a new Highland course are “not fit for purpose”. 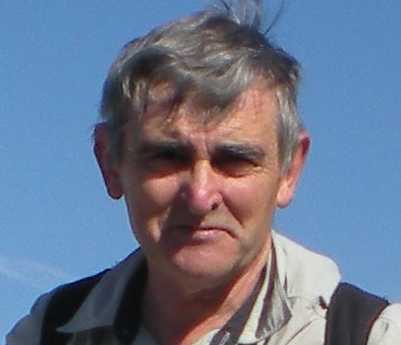 Dr Tom Dargie represented Trump International in its 2008 public inquiry which ended with a Scottish Government decision to allow the course to be built at Menie. Dr Dargie is now chairman of the local Not Coul campaign group fighting against proposals for Coul Links golf course, just north of Embo in Sutherland. And he has carried out an environmental audit of the plans, lodged last week, claiming ecological surveys done by the Coul Links team are “not fit for purpose” and that campaigners will front a “very strong resistance”. A spokesman for the US developers, Todd Warnock and Mike Keiser, said a “broad range of independent ecological and environmental experts” have done “various surveys and reports” under the environmental impact assessment process. But Dr Dargie says the project marks a “step change in golfing use of protected land” and disagrees with the developers’ argument that there will be minimum impact from the golf course. Two-thirds of the golf course will be sited on dunes in the Loch Fleet Site of Special Scientific Interest, also a Special Protection Area for birds and wetland habitat. The ecologist, who has previously mapped about 95% of Scotland’s dune habitat, undertook his own ecological studies this year. He says he found more than 100 juniper bushes – a rare habitat confined to the Moray Firth area – on the area proposed for the first hole alone, claiming “more than half” of this would be lost to the golf course. On an adjacent hole he said about half of the fairway is very wet dune containing the rare plant Shoreweed. He says this is the first site in Scottish mainland it has been found, and should have been reported by the developers. His audit of the developers’ habitat survey shows that overall accuracy was just 55%. Not Coul will be producing further audits on economic, transport and coastal erosion aspects of the plans.